Lately I have been asked “Can you use ConfigMgr to see how old our computers are”. And the answer is: YES with some modifications/limitations, and it only works if you haven’t deleted the computer object in the Active Directory every time you re-install your computers. 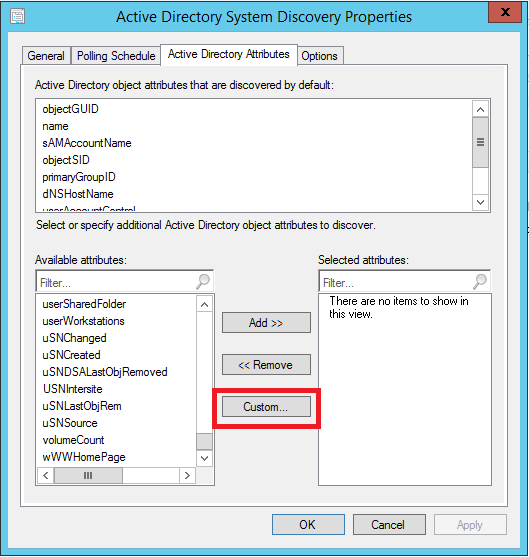 Step one: Add the Active Directory attribute “whenCreated” to the Active Directory System Discovery. 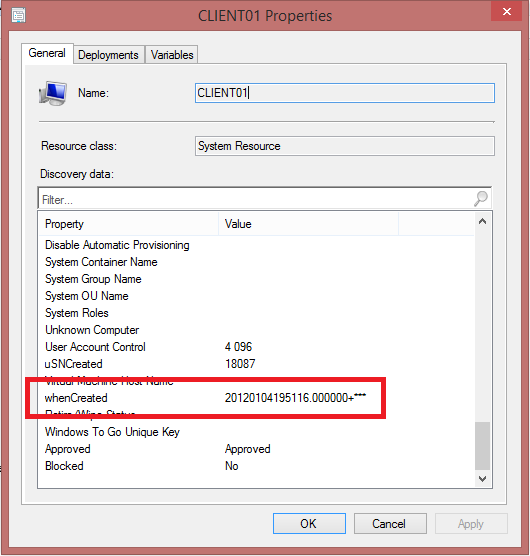 Step two: Run a discovery and you will get a new attribute on the device object. Now you can use this attribute in collections or reports to get a good picture on how many computers that might need to be replaced during the following years. In the sample query below I select computers that are 2 -3 years old. 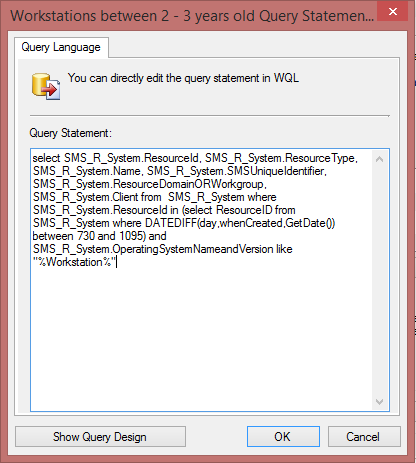 select SMS_R_System.ResourceId, SMS_R_System.ResourceType, SMS_R_System.Name, SMS_R_System.SMSUniqueIdentifier, SMS_R_System.ResourceDomainORWorkgroup, SMS_R_System.Client from SMS_R_System where SMS_R_System.ResourceId in (select ResourceID from SMS_R_System where DATEDIFF(day,whenCreated,GetDate()) between 730 and 1095) and SMS_R_System.OperatingSystemNameandVersion like "%Workstation%"
And here is a sample picture how I use this information in a custom report. This is just a way to get a hint on the age of your computers. It’s not as accurate as looking in to invoices and so on.